Ale-8-One, aka Ale-8 is the ginger ale with a “kick”, distributed primarily in Kentucky. It is bottled by the Ale-8- One Bottling Company, a family-owned enterprise in the small town of Winchester, Kentucky, where the beverage is especially popular. 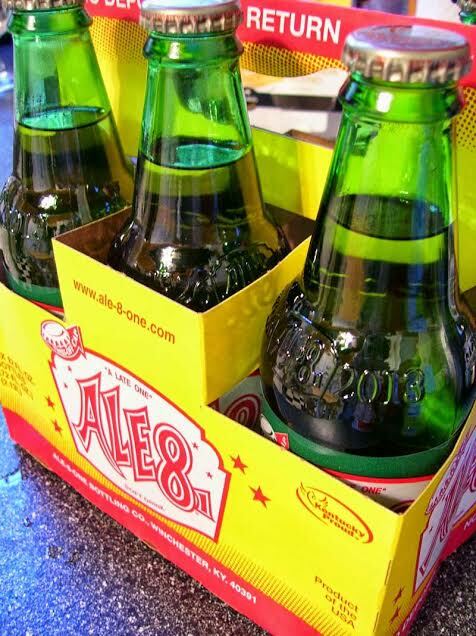 However, the Ale-8- One Bottling Company expanded its distribution to areas of southern Ohio and southern Indiana through an agreement with Coca-Cola. Mark (that’s the boss’s fav!) or Wild Turkey. “Tender Lovin” is the concoction of Ale-8 and vodka. Lastly Seagram’s Seven and Ale-8 are mixed to produce Kentucky Beer. straight up by stopping in at Touch the Moon Candy Saloon located at 8 S. Phelps in downtown Youngstown Ask for Polly or Shags! !